Medicinal and Aromatic Plants (MAPs) have growing interest throughout the world. These plants are also well-known as Non-wood Forest Products (NWFP). From nature to standardized products, all these plants and products are interest of a number of sectors. Thus, their market size has gradually increased by the time. 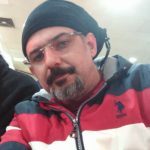 By huge development in this sector, scientific researches for supporting ethnobotanical heritage and investigating novel information have being done, governmental regulations for conservation biodiversity and protecting public health and private sector efforts to get a share from the market is increasing. Non-Governmental Organizations (NGOs) are working all the related areas for biodiversity conservation, sustainable use of natural resources, encourage for their cultivation, awareness of public for muggers and to encourage for multidisciplinary actions of all related sectors for human welfare. Thus, scientific-based organizations are important forums to bring together all the stakeholders in the MAP and/or NWFP sectors. In this context, our first International symposium The First International Mediterranean Symposium on Medicinal and Aromatic Plants (MESMAP-2013) which even had over 300 participants from 35 different countries confirmed this reality. The organizers’ previous experience with 6th CMAPSEEC was also a great success having more than 500 participants from 53 different countries. After these afore-mentioned meetings, important and sustainable collaborations and networks among the all the stakeholders were achieved. Accepted international scientific authourities on “Medicinal and Aromatic Plants (MAPs)”, MESMAP-3 was a great event organized in Girne (Kyrenia), Turkish Republic of Northern Cyprus, in the dates of April 13-16, 2017. Participants all over the world (from Peru to Thailand – from South Africa to Russia) presented their scientific findings on MAPs in this scientific forum. After symposium online (pdf) Abstract Book was published http://www.mesmap.com/FileUpload/ks831353/File/mesmap3abstractbook_baski_05052017_eisbnlastweb.pdf with ISBN. Furhermore, selected full papers of the presented scientific works at symposium have been published as SPECIAL ISSUE at “Indian Journal of Pharmaceutical Education and Research (IJPER)” an ISI-Indexed Journal. 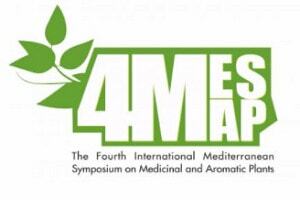 The Fourth International Mediterranean Symposium on Medicinal and Aromatic Plants (MESMAP-4) will be organized in Antalya, Turkey, in April 18-22, 2018. MESMAP-4 scientific program covers all related aspects of MAPs and NWFPs such as agriculture and forestry, botany, ethnobotany, herbal medicines, plant biotechnology, phytopharmacology, pharmacognosy, plant biology, phytochemistry, and aromatherapy. Selected papers will be published in a distinguished scientific journal with high impact factor after scientific evaluation, as well. To be in Antalya for this distinguished scientific event will be an amazing experience for you and good memories to take back your home. We would like to wish you all the best and are already looking forward to meeting you in Antalya, Turkey, in 2018 spring.